Breeds of goat are also specialized for wool production, meat and milk. Goat milk is laxative and good for people allergic to cow milk. Examples of goat breeds are Maradi or Sokoto Red goat, West AFrican dwarf goat, Kalahari goat (in South Africa), Sahel West African Long-legged goats (they are prone to trypanosomiasis and not good for milk), Nubian goat (large breed for meat and milk), Boran (breed of East Africa, late maturing, produces large litter size). Other exotic breeds of goats are Saanem, Toggenburg, Alpine, Anglo-Nubian, Oberhasli, Pygmy goat, Alpine etc. There are five principal reasons why housing should be provided for small ruminants. The housing requirement is for lodging, feeding, water accesibility, healthcare and exercise. 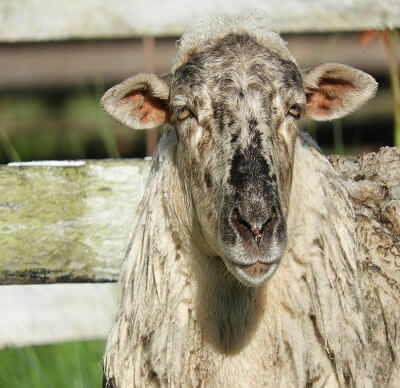 The shelter for sheep and goat should be simple and should provide protection and a place to rest, ruminate, sleep and possibly parturate, if parturition will occur during periods of inclement weather. An existing or abandoned building can be restructured to house the animals. Three-sided shelters work well in many areas. Greenhouses, hoop, houses, shade structures and poly hutches may offer low-cost alternatives to traditional housing. Fencing is paramount in small ruminant production as they are ubiquitous animals. Fencing for sheep and goat production is capital intensive but can be achieved moderately. The main essence of fencing is to accomplish two goals: Keeping the animals in and keeping predators out. Goats and sheep can fall prey to free range dogs and snakes. High fencing is considered to be the best type of fencing for all classes of livestock. Woven wire fences are popular with many small ruminant producers, but their cost is much higher. Live fencing is also adequate and can also serve as browse trees for the animals. This is a common method of fencing in developing countries, especially in backyard sheep and goat farming. The normal breeding season for small ruminant animals is August to March, though some people will cycle at other times during the year. Goats and sheep are seasonal breeders. The heat (estrus) period averages 21 days. The doe (female goat) and ewe (female sheep) will be in standing heat i.e. 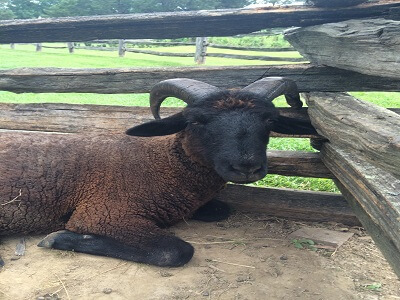 receptive to the buck (male goat) or ram (male sheep) for 12 to 48 hours. Ovulation (egg release) occurs 24 to 36 hours after the onset of heat. The gestation lenght of the small ruminants is approximately 150 days. They typically give birth to one, two or three kids. Quadruplets are possible but uncommon. 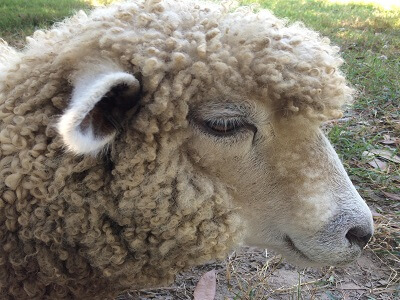 Ewe and doe should be made to lamb (the name or terminology for the act of giving birth by sheep) and kid(the name or terminology for the act of giving birth by goats) in a clean environment, either a well-rotated pasture or a stall bedded with straw or other absorbent material. Few ewe and doe require assistance during lambing and kidding, though problems are always a possibility. Normal delivery is the nose between the front legs. A breach birth (hind legs coming out first) is also considered normal. If a doe or ewe has made no progress within an hour after hard labour (after the water sac breaks), her birth canal should be assessed and the status of delivery determined. 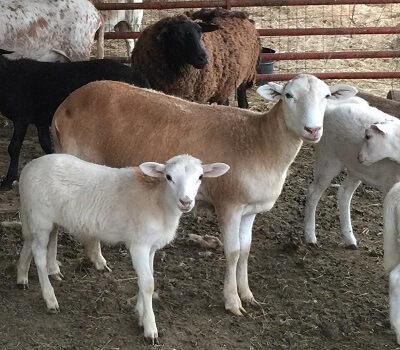 Newborn lambs or kids should have their navel cords dipped in a solution of tincture or iodine to prevent entry of pathogens (disease-causing organisms). If necessary, the navel cord should be cut to 7.5cm to 10cm. It is important that new-borns consume adequate amount of colostrum during the first three hours of life. The colostrum or first milk contains antibodies that are essential for the development of immunity in the new-born lambs and kids. It is a good idea to strip the doe's or ewe's teats to make sure the teat canals are open and the flow of milk is adequate. The nutritional needs of goats and sheep vary according to weight, age and stage of growth and/or breeding cycle. They can be met by a variety of feedstuffs and feeding programmes. There is no perfect feed or feeding programme. Ration formulations are usually based upon a combination of the animal's nutritional needs, feedstuff, availability, chemical composition of feedstuff, age of animal, animal type (meat, milk and wool/fur) and cost of feedstuff. Sheep and goats require water, protein, energy, minerals and vitamins in their diets. Water is by far the most important nutrient. Animals can go for a long time without food but not without water. Energy is usually the most limiting ingredient in small rumainant rations while protein is the most expensive. Calcium and phosphorus are the two most important minerals to be included in the diets. The ratio of calcium to phosphorus in the diet should be at least 2:1 to prevent urinary calculi, the formation of kidney stones in the bladder of male goats and sheep. Selenium is another important minerals. Goats and sheep require vitamins A, D, E and K in their diets, but synthesize the B vitamins in their rumens. Pasture should comprise the larger portion of the diets of goats and sheep. 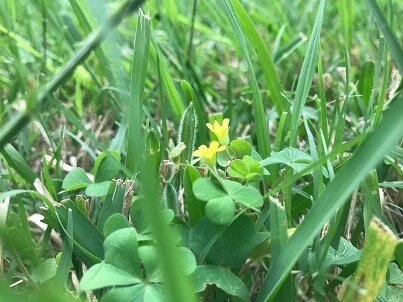 When fresh forage such as grass, legumes, fodder crops and browse trees cannot meet the nutritional needs, supplemental feeding such as concentrate may be necessary. Supplements should only be fed to the point where they support profitable levels of production. It is questionable as to whether goats can be grain fed profitably to the extent that other livestock can. 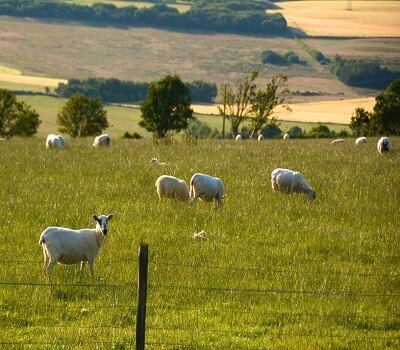 The amount of pasture needed to support ewe and doe with their offspring will differ, depending on the quality of pasture and the management systems. Goats experience similar health problems as sheep. Adult goats and sheep should be vaccinated annually for enterotoxemia (overeating disease), Peste des petits ruminants (PPR) and tetanus. Does and ewes should be vaccinated prior to kidding and lambing so that the kids (baby goats) and lambs (baby sheep) receive temporary immunity through the colostrum. 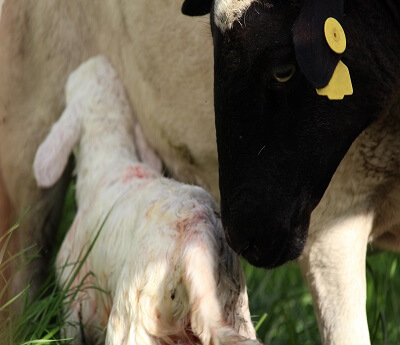 Kids and lambs should receive their first vaccination at approximately 30 and 60 days of age. Vaccines against other diseases will depend on the incidence of the diseases in the herd. A large animal veterinary or state animal health laboratory can help diagnose disease problems in the herd. 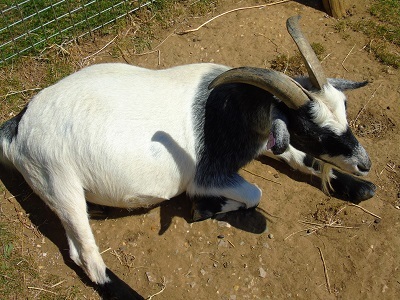 The most common health problem affecting goats and sheep is internal parasites. Essentially, all healthy goats and sheep also have worms present in their guts. Effective parasite control is best achieved through a combination of strategic deworming and pasture management. Frequent anthelmintic treatments, without regard for pasture conditions, are costly and may lead to a false sense of security. Moreover, frequent exposure to anthelmintics causes worms to become resistant to the drugs. Ewes and does should be dewormed prior to or shortly after lambing or kidding. Anti-parasitic drugs are available in many forms of administration (oral/drench, paste, gel, bolus, injection, pour-on and feed additive). Oral drenching is the recommended method for deworming goats. Oral products clear the animal's system faster and are more effective than other methods. A marketing channel for sheep and goats describes the movement of the product from the site of production to the place of final consumption. It may include transportation, handling and storage, ownership transfers, processing, wholesale distribution, retailing etc. 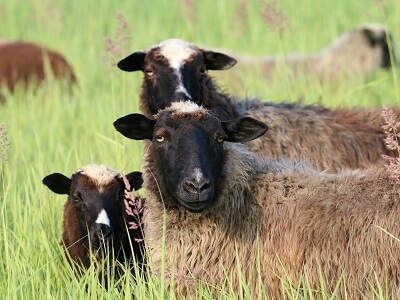 Farm-raised small ruminants may be marketed on-farm for slaughter and consumption. Alternatively, goats and sheep may be sold to a second owner who then slaughters them and consumes the carcass and the offal. In many markets, small ruminants are sold at all times of the year for various reasons including income, festivals, religious purpose, gifts, consumption and ceremonies. Agricdemy is an online platform filled with videos and resources for learning about agriculture, agribusiness and farming. It is an online agribusiness training center where students enroll to watch practical tutorial videos that will teach and explain different aspects of agriculture, agribusiness and farming. Students also receive extensive support and counselling that will help them start their own farming businesses.